This 1998 single wide manufactured home is beautiful and uses a lot of great remodeling tricks to make the space seem larger. The flooring choice gives the home a rich, warm foundation that will be easy to clean. It will match almost any wood finish too. The counter top installation is unique. The work area around the sink has the standard laminate counter top in one color but around the island the owner used a darker faux marble laminate. This helps to create individual work spaces and is a smart use of material. Spend money on the most obvious surfaces first. Pendant lighting stationed directly above the counter tops is a useful feature. The custom architectural details in this 1998 single wide manufactured home creates wonderful focal points that grabs attention. 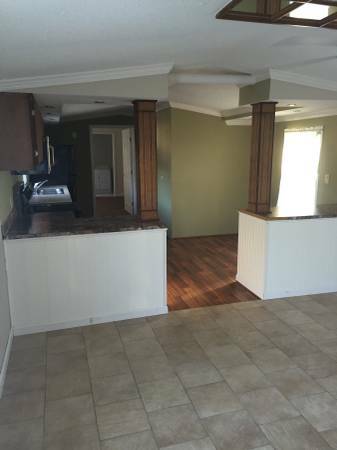 Not every surface has to be changed when updating a manufactured home. Pick the most prominent surfaces, such as walls and ceilings, to update with paint first and go from there. You don’t have to spend a lot to make your home beautiful! 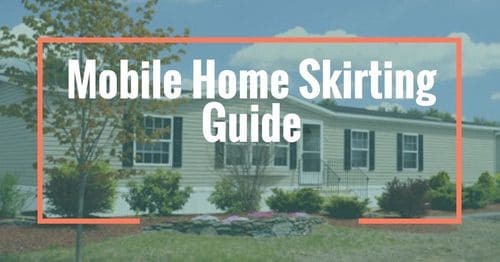 Related: Mobile Home Decorating Ideas – Free Ebook! The living room is great! The mirrored ceiling installment is a great way to make the room appear larger. 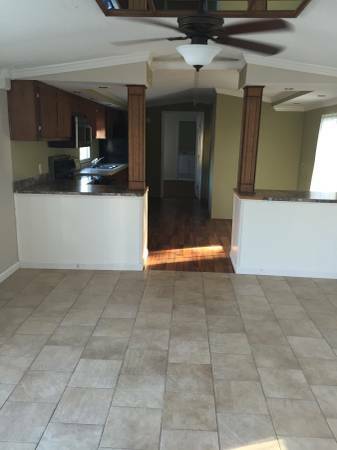 The tiled flooring is in a neutral color that also works to make the space seem larger. 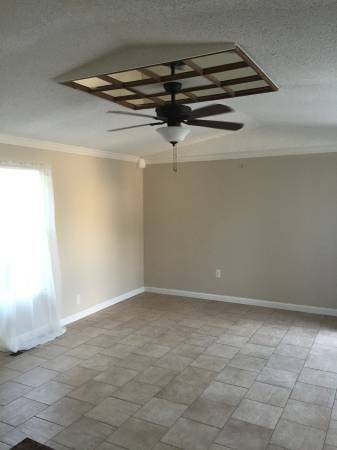 The bright white ceilings helps bounce light around too. A light cream paint color is a great canvas. You can add color into the space via furniture, decor, and wall art. The bathroom in this 1998 single wide manufactured home has been completely customized. A walk-in tiled shower creates a great focal point in the room that is as useful as it is beautiful. I really love this 1998 single wide manufactured home. I wish I could buy it and pull it onto my land right now! 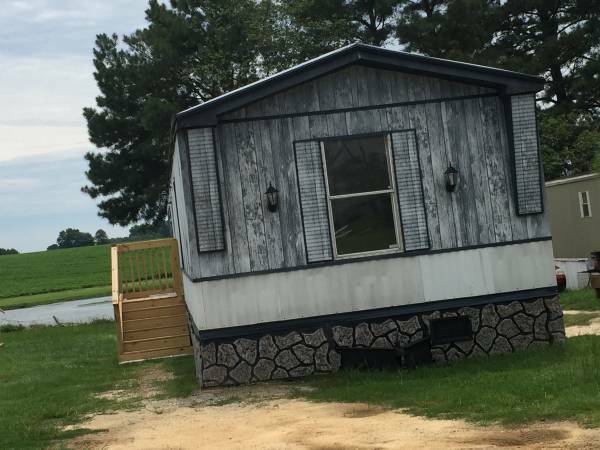 I found this 3 bedroom, 2 bath single wide home on Craigslist. The asking price is/was $16,000. This is a beautiful home for less than what a used car costs! The home apparently sold quickly because the ad was removed within a few days. The home sits on a rented lot that goes for $225 in Raleigh, NC. The only thing missing is an air conditioner but that wouldn’t be too hard at all to add to the home. For less than $20,000 you could live in a comfortable, beautiful home – what’s not to love about that? Every roof is different and it will depend on the damage. 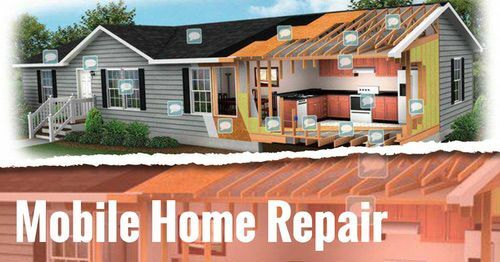 You’ll need to get some professional roofers to inspect your home and to get appraisals. 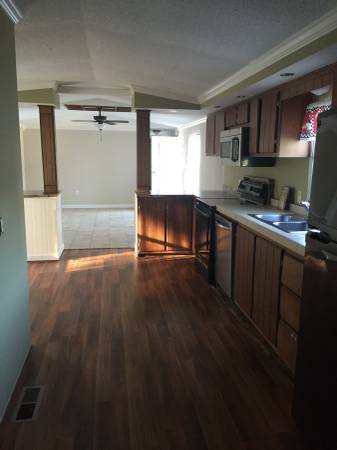 Hi, hoping for some help on my remodel. 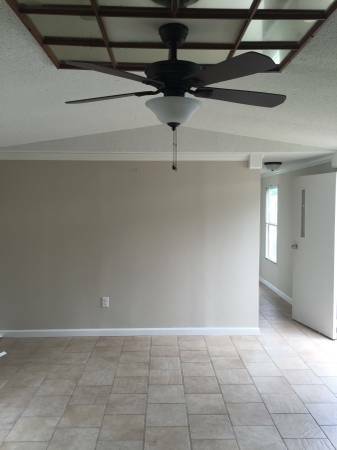 I want to install a ceiling fan in the bedroom where there is none now. Do I need a different receptical in the ceiling? 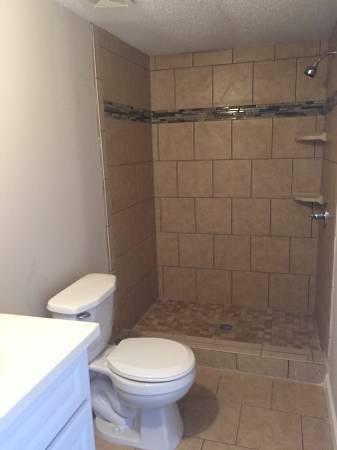 Also going to take the tub out of the master bath and replace it with a walk-in shower. I have heard that tile of any kind can shift and cause cracks in the grout because of strong winds. What do you recommend? Really like your page! Keep up the good work! Thanks, Barb. 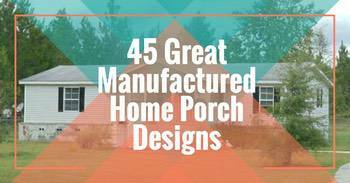 I’m 71 and still do my own remodel projects. I am currently doing shiplap in the living room. One wall done and 2 to go. Thank you for the kind words! I hope I can still do remodels at 71! Good for you! I’m not very knowledgeable about electricity but here’s what I think I know: most modern manufactured homes will not need any special wiring and your main concern when installing a ceiling fan is the location of the outlet/receptacle box (you need it attached to a joist). You can buy a ceiling fan (or installation kit) that will help you install the fan directly onto a joist or that will allow you to install the fan between two joists, depending on your situation. As far as tiling goes, I’m a bit of a rebel. Modern manufactured homes are built a lot better and installation is taken a lot more seriously nowadays so most of the wind damage and shifting that was encountered are no longer a huge issue. If your home is permanently installed (with tie-downs and straps) a modern manufactured home can sustain winds up to 110mph. In addition, we have some pretty great tiling products on the market. I don’t recommend tiling across a marriage line or in extremely large areas but a shower or small bathroom shouldn’t be a problem. 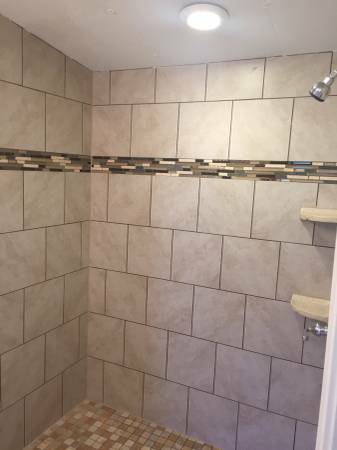 Just use the proper backing (dura-rock) and the right grout and make sure to use a good shower pan. i want to thank you for your website. i love it. 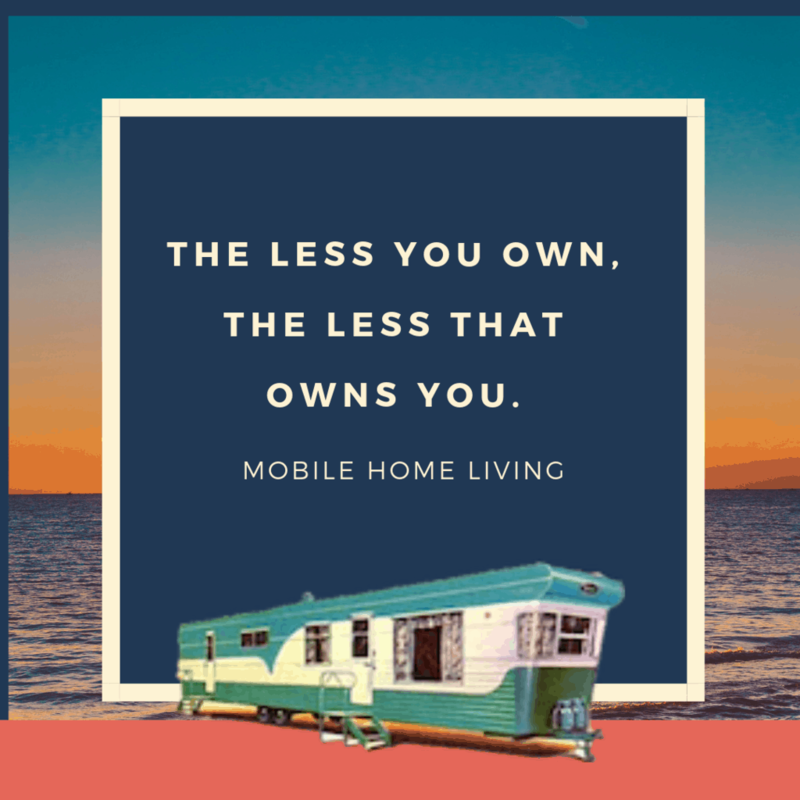 i have had 2 mobile homes in my lifetime and the first one was a lovely singlewide 3/2 that i simply loved. however i lost that one by a trickster park owner and the mover. 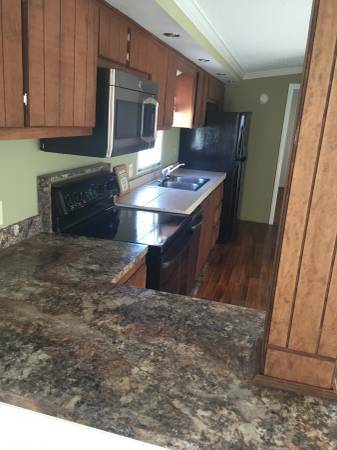 i have been living in a singlewide 3/2 for 16yrs but it needs lots of attention n being disabled w/no one to help me it takes a lot of time for me to do anything but i do and your website is fantastic, i am at present trying to put a backsplash in the main bathroom and would like to know if you have any cool ideas on how to do this easier than what i have read. thank you so much for your site and i pray it will stay on for as long as i have my home. I’ll put a link below of some. There’s a few brands out but the one on top called Smart Tile is the brand I used in my Airstream and the brand that gets the best reviews. I was very impressed with them and plan to use them in our mobile home kitchen remodel. They aren’t too expensive, especially considering that you can get the look of tile without needing backer board, grout, and heavy tile. Best of luck to you! So sorry your lost your first home, it’s a story I hear all too often. 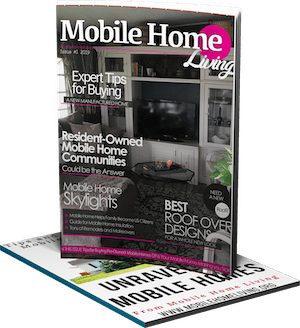 Thanks for reading Mobile Home Living – hope to hear from you lots more! We have lived in a 1973 Champion mobile home since 1980. It was very run down when we moved in. 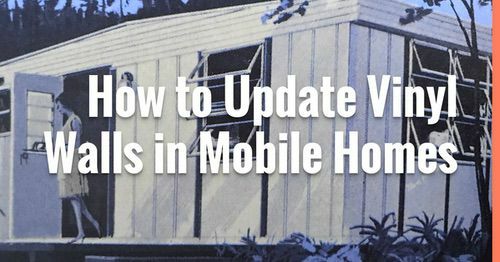 In 1984, we added a half of a 1984 Colt Modular home (the dry half), to the north side of the mobile home. Over the years we put a house roof over both, re-sided the outsides to match in 1994 and installed all new thermo-pane window on the south side (in the Champion unit). 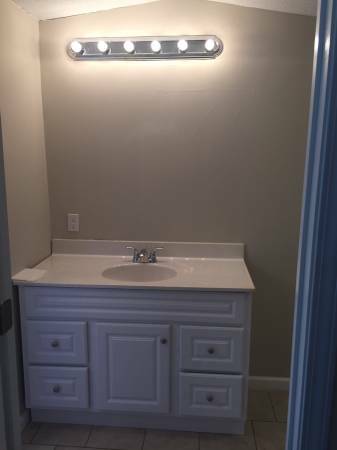 As time went by, the inside of both units was re-decorated and remodeled. A front entry porch was built beside the front door as well, which house a wood burning stove for additional heat, when needed in the Kansas winters. We raised 4 boys in this “home”….we had FIVE BEDROOMS, and recently enlarged the living room and now have 4 bedrooms, of which one is our computer room. In 2014, we updated the main bathroom, totally gutting it and bringing it into the 21st century. We have LOTS of MONEY in our “HOME”…..but it is on a foundation, on a large lot and we have an above ground pool in the back yard and lots of native limestone rock fencing, etc surrounding it. I bet your home is gorgeous! It’s always a pleasure to hear from families that have transformed their manufactured home into a dream home. I’m always looking for homes to share here on the site – hope you’ll consider it! 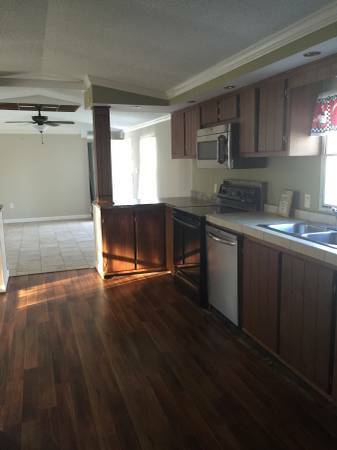 A few pictures and a little information about the home is all I need. My email is [email protected]. 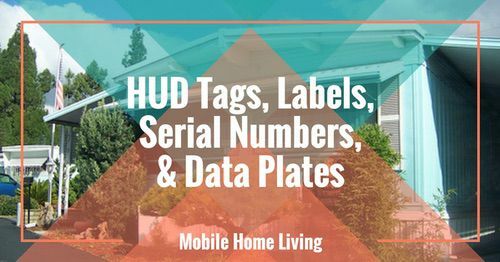 There just isn’t enough information about manufactured homes online. Thanks so much for commenting! I hope to hear from you again! What kind of paint would you use on countertops? Been reading up on spray paint stone,then add glossy over it. Have u done this? I’m not really qualified to answer that but I’ve read a few reviews on the countertop resurfacing kits available at Lowe’s or Home Depot and a lot of people seem to like them. I read that it was really important to follow the directions perfectly and that prep is the most important step in the entire process. You need a good bond. Google ‘countertop resurfacing kit’ and you’ll see a few results. I’ve read that when they first came out they weren’t all that great but over the years they have improved significantly. Best of luck! Were redoing our kitchen also.